The children were fully engaged. They listened intently. They sang along to the Gingerbread’s man song. The copied my movements. AND the older children (4 to 6-year olds) even told their own version of the gingerbread man story. It was such a rich experience for all of us. Have you ever told a story versus reading it? If not, I highly recommend it. And when you do, watch your child’s face. The difference in expressions can range from subtle to quite dramatic. It’s the basic story, appropriate for ages 2 and up. And it’s easy to switch out elements that are familiar to your child. For example, if you have a cat, have the gingerbread man chased by a cat instead of a dog. If you’re comfortable telling the story in your own words, go for it. And if you rather stick with reading the story for now then go with that. Your child will still benefit from listening to you read the story versus looking at a picture book. And we will talk more about ways to get started with storytelling in the new year. For now, let’s enjoy a cozy moment with our little ones. Here are two fun activities that go well with the story. We bake gingerbread every year and I can’t believe I never thought of making a giant gingerbread man. Don’t you just want to take a big bite out of that? Two years ago, I hosted a Gingerbread Man Decorating Contest. 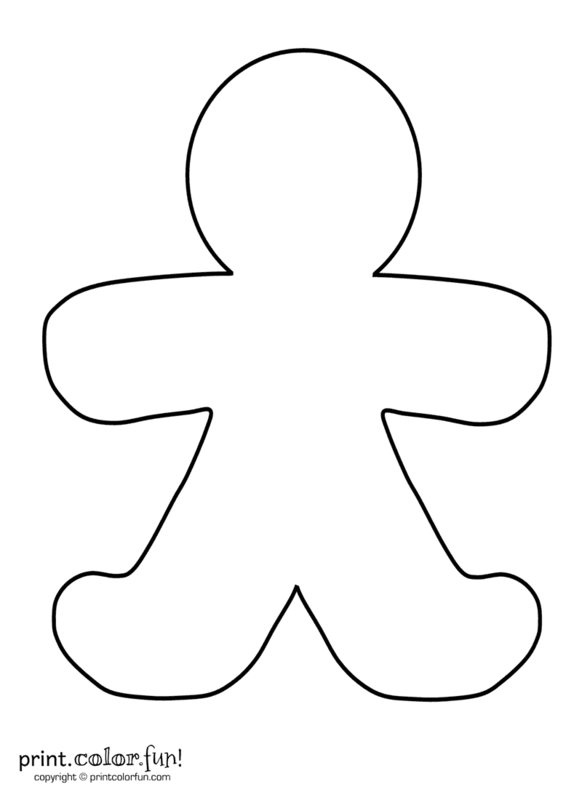 I provided the children with this blank gingerbread man and asked them to use their creativity and decorate it using any material they would like. The results were AMAZING! Set your child up with some art materials (crayons, markers, paint, feathers, buttons, fabric, etc.) and watch. Or how about a family decorating contest? Gingerbread houses first appeared in Germany in the 16th century. It is said that Grimm’s Fairytale “Hansel and Gretel”, which features the witch’s gingerbread house, started the tradition of baking them. However, we have to thank Queen Elizabeth 1 for the creation of the gingerbread man. She had requested that gingerbread man were created to represent some of her important guests. Now you have everything you need. Let the storytelling, baking and merry-making begin!